School pupils from across Aberdeenshire have been invited to participate in a contest set up by The David and June Gordon Memorial Trust. The winning entries will receive expert tuition from local artists, art materials and exhibition space. The competition is open to Primary five, six and seven pupils as well as all secondary school students. 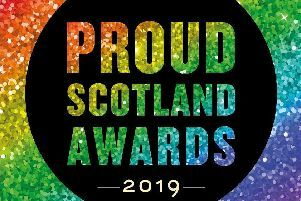 The top 100 entries in the competition, which closes on March 31st, will be exhibited at the Haddo Arts Festival in October, when the winners will be announced. To submit a drawing, pupils should email the trust at ponpay@btinternet.com where they will receive a code allowing them to upload their picture to the website. The DGMT was set up in 1975 to help support anyone with a passion for art.